Just a bit of fun for y'all to look at, ive been playing dark souls quite a lot and nito is one of my fave bosses apart from the iron golem i might give him a shot aswel actually. Haha, I was just about to draw another Nito for an advent challenge. 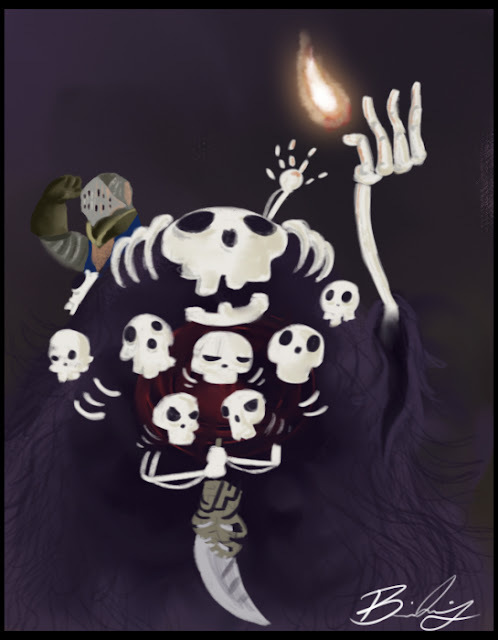 I'm going to draw characters from the souls games for the next 25 days. I might put Nito off for a bit after this.